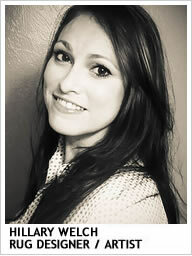 Welcome to Rugs As Art DESIGN Studio! 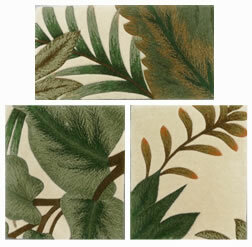 Hillary Welch heads up our DESIGN Studio and expertly creates custom area rugs to meet your exact specifications. 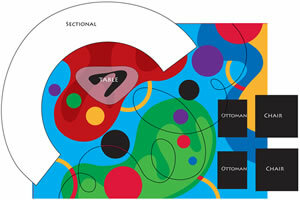 From personalized rug designs, custom sizes, colors and shapes, the only limitation is your imagination! The highest quality New Zealand wool hand tufted in a vairety of thicknesses and textures. Luxurious Tibetan wool hand knotted in a variety of knot styles with high/low wool options. 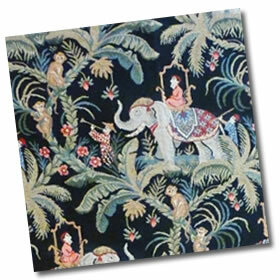 Beautiful silk fibers are offered in both hand tufted and hand knotted custom rug designs. 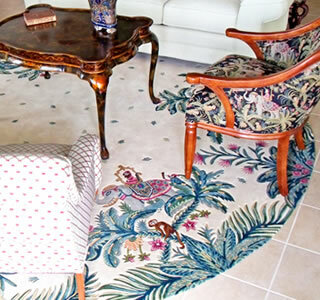 While the rug design often determines the technique used, our knowledge and expertise allows us to select the very best technique and fiber to fit your specific needs. This client not only wanted a custom shape to fit their room setting, but also needed the coloration to match a beautiful tropical fabric. Below you will find a summary of the steps we took to turn their dream into a reality. Select wool colors from a vast array of pom samples or custom dye to match specific fabrics and/or wall color (Note: below is just a small sampling of our thousands of color options). Create custom design based on client's specific requirements. 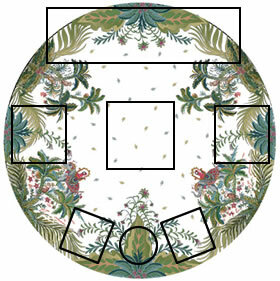 Receive a rendering of the rug with furniture layout and wool samples. 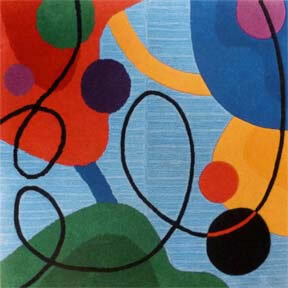 Receive sample(s) of the actual rug for color and technique verification. Upon approval, the full rug is then manufactured. The completed one-of-a-kind custom rug in its new setting! 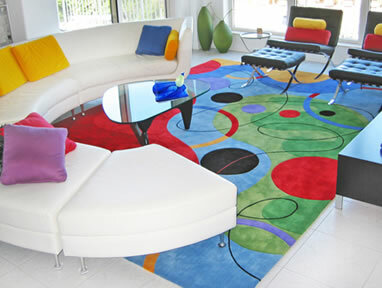 This client was looking for a fun and vibrant rug to match their contemporary setting. Below you will find a summary of the steps we took to turn their dream into a reality. 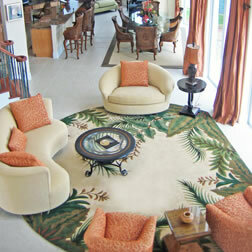 This rug was custom dyed in true vivid colors according to the client's specifications. After designing the custom rug, the client received a rendering with furniture layout and wool samples. 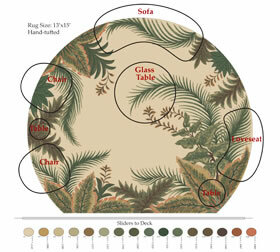 Receive a sample(s) of the actual rug for color and technique verification. Per the client's request, this particular strikeoff was provided in two colorways. The completed one-of-a-kind custom rug in its new setting! 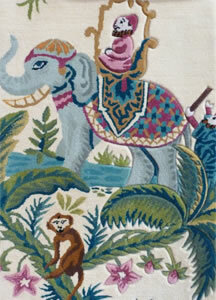 This client requested a rug to match a unique Indian chair fabric. Below you will find a summary of the steps we took to turn their dream into a reality. This rug was custom dyed to coordinate with colors in the client's chair fabric. 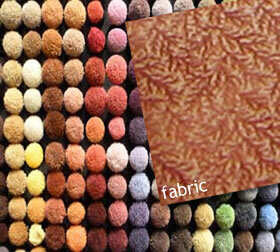 Receive a sample(s) of the actual rug for color and technique verification. Look how closely the rug matches the fabric! The completed one-of-a-kind custom rug in its new setting! To get started on your next project, feel free to contact Hillary at 941-921-1900 or via email at info@customrugdesign.com.